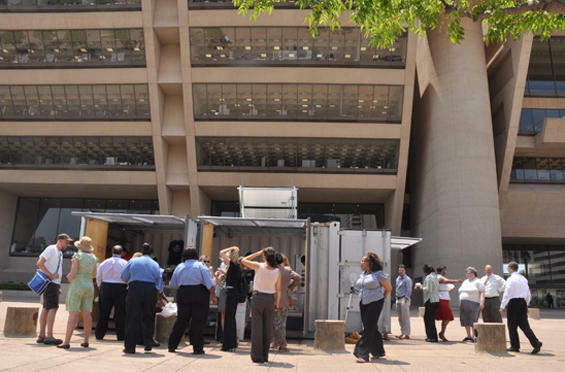 bcWorkshop's mobile commissary at Dallas City Hall Plaza. A business incubator for small entrepreneurs. The Living Plaza project is now becoming a regularly held event at Dallas City Hall, with the CityDesign studio, and the city’s economic development group leading the initiative to continue the momentum from the successful project. Beyond that, something inspiring and groundbreaking is occurring within the project…small entrepreneurs are getting a chance to test out their business ideas at each event. The bcWorkshop’s portable kitchen is being brought on site for every Living Plaza installation, and Amanda Popken, a small business analyst at City Hall, is getting a chance to let first time restaurant hopefuls take a shot at their dream in front of a receptive audience. A byproduct that we had not anticipated from our Better Block projects early on was the potential for our pop-up businesses to become permanent. We’ve now seen, in most every instance and city that has adopted a Better Block, small businesses continue well after the project was completed. Oil and Cotton, a creative exchange and art shop, has been a resounding success within North Oak Cliff that not only provides much needed art classes and supplies for children and adults, but enhances the quality of life for the area and brings more people to a small arts district that relies on regular foot traffic. 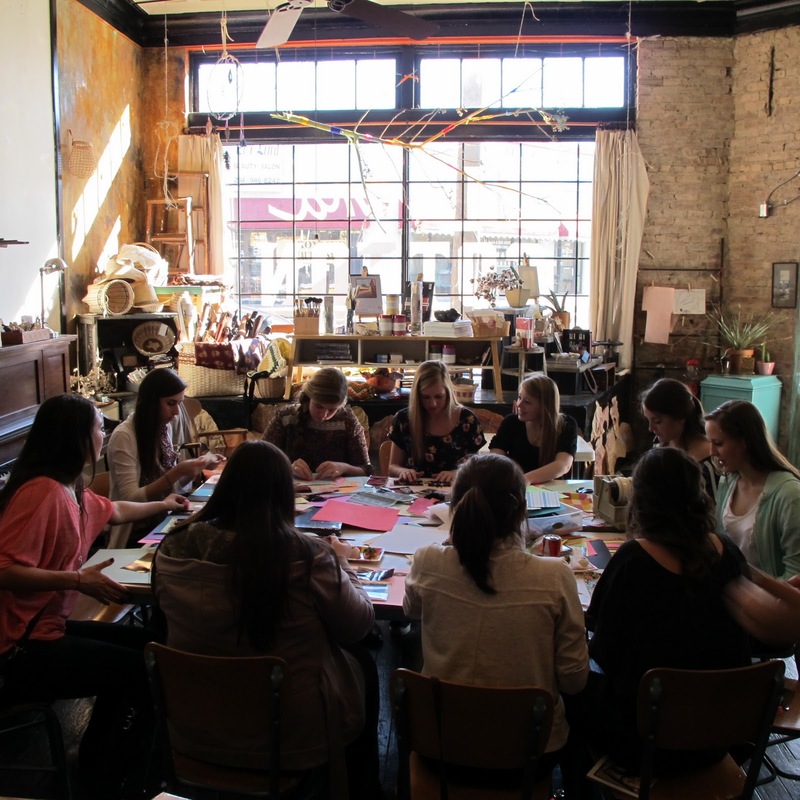 The presence of children in the area greatly enhances the perception of safety in the neighborhood, and the classes themselves have helped elevate a love of the arts that is pervasive within the neighborhood. So why does this pop-up storefront option work so well? It lowers the barriers to entry for a person interested in starting a business, creates a temporary timeline to test out the businesses potential, and mitigates the risk associated with a traditional start-up. It also does away with the tedium, minutia, and up-front costs associated with filing endless permits, developing long-range accounting forecasts, reviewing costly insurance packages, multi-year leases, navigating bureaucracy and more. In the end, it’s the Lemonade Stand philosophy: All it takes to start one is a stand, and lemonade. The other pieces are necessary, but can be added and enhanced as the business grows. Our focus should be on helping setup the stand so that the early entrepreneur can simply try their hand at something that could be an ongoing and sustainable successful business. 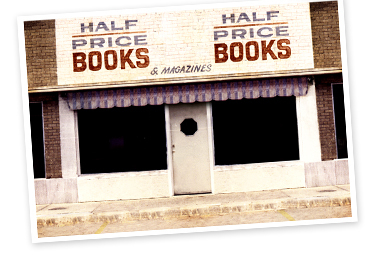 Most small businesses start this very way, including our own Half-Price Books, which began in a garage on weekends, and moved to a small washateria, then on to becoming a major retailer throughout the region. As a city, we have an opportunity to look at public spaces throughout the area (ie. parks, transit stops, city owned lots, etc. ), and provide small kiosks, similar to the successful coffee stall at Main Street Park, and give first-time business people a shot at their dream. For us, it provides much needed eyes on the street to increase the area’s safety, a shot in the arm to the neighborhoods economics, and potentially a seed to grow something that could be a major home-grown enterprise.